5 week cycle has now turned down. Three cycles (20 week, , 10 week, 5 week) are down. 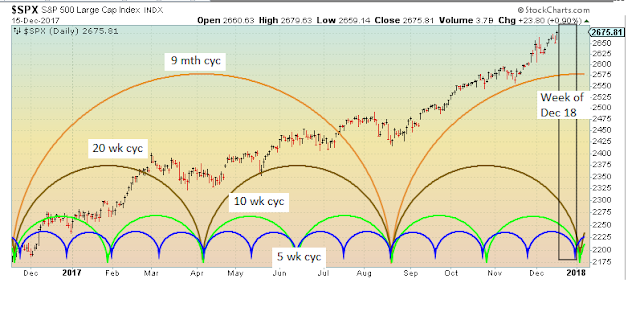 9 month cycle still up but nearing a top). 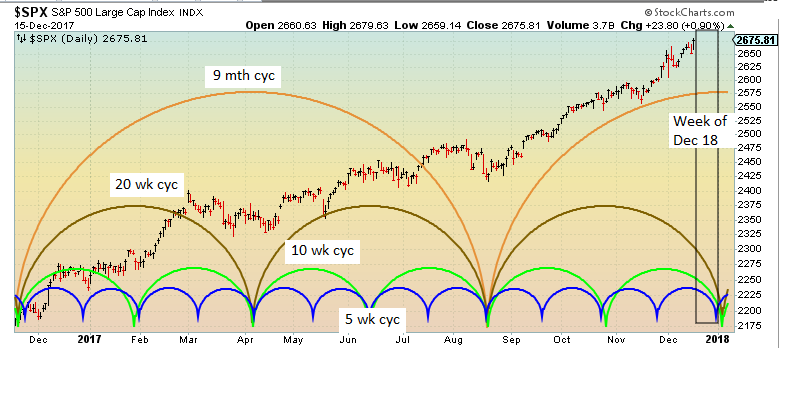 Expect 3 down cycles to result in a top and a down turn within next 2 weeks.